It’s a new year and time to shake off those post-holiday blues. 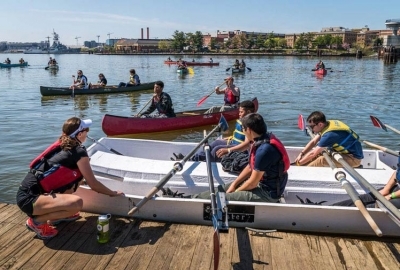 There are plenty of things to keep you occupied this weekend in the DMV including Magfest for your inner gamer nerd, the NBC4 Health & Fitness Expo if one of your resolutions was to be healthy or the No Pants Subway Ride if you want to get a little wild. It is a new year, and Metro is resuming work on SafeTrack. This weekend, tracks will be closed between McPherson Square and Rosslyn as are the Foggy Bottom and Farragut West stations with buses replacing trains on the Blue and Orange Lines. Trains will operate every 20 minutes. Silver Line trains will run every 20 minutes between Wiehle-Reston East and Ballston ONLY. Red Line trains will single track between Van New/UDC and Medical center with trains running every 26 minutes and every 13-15 minutes from Farragut North to Glenmont from 9 a.m.-9 p.m. Yellow Line trains will operate every 20 minutes between Huntington and U Street ONLY, rather than Fort Totten. And Green Line trains will single track between Fort Totten and College Park with trains running every 20 mintues..
Join fellow subway riders around the world and leave your pants with 2016 and welcome the new year with the No Pants Subway Ride. Act as if it is any other day, but you just happened to be without pants. Maybe you forgot them. 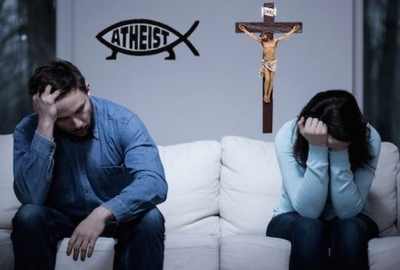 Maybe you hadn’t even noticed. Maybe, despite the assertions of those around you, you have them on. There will be a pre-ride meeting at 3 p.m. then ride the trains. Afterward, meet up at the Front Page near the Dupont Metro South entrance at 5 p.m. for an after=party (pants still optional). Jan. 8 at 3 p.m. at Hancock Park, C and Seventh Streets SW (between Seventh and Ninth Streets SW near L’Enfant Metro). Admission is FREE, except for the Metro fare. 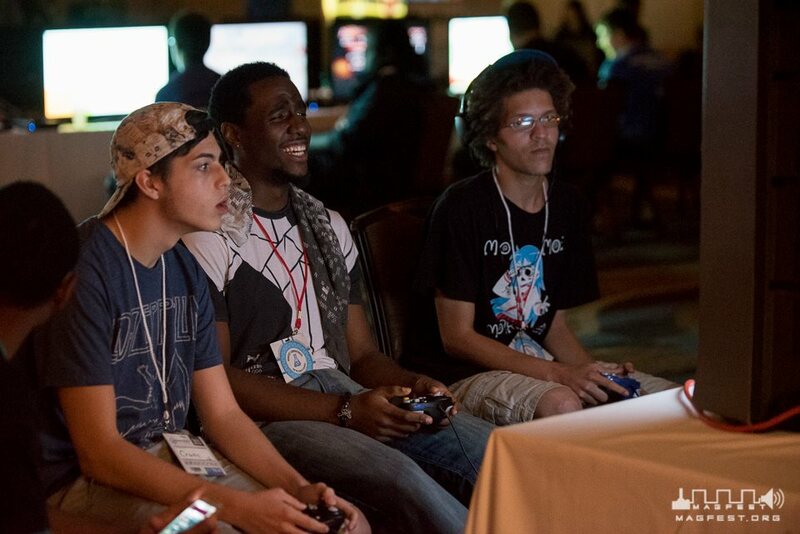 Magfest returns to the National Harbor this weekend. Short for “Music and Gaming Festival,” Magfest is a gamer’s dream, a chance to unleash your inner nerd alongside like=minded folks. More than 20,000 people attended last year — quite a leap from the 300 who attended when the event started in 2002. Festivalgoers can play games around the clock or, if you’re a noob, learn to play “Magic: The Gathering” or have your skills assessed. Other activities include video-game tournaments (“NFL Blitz ’99” and “Mortal Kombat,” for instance), stand-up comedy, live video-game music performances and, naturally, Yoga for Gamers. Jan. 5-8 at Gaylord National Hotel & Convention Center, 201 Waterfront St., Oxen Hill, Md. Tickets are $75 for adults for the weekend, $37.50 for children 6-12 years old and free for children younger than 6. 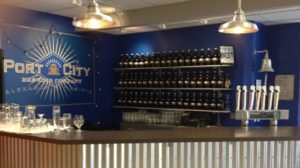 Port City Brewing’s New Year, Old Beer party celebrates “a few friends from years past,” pouring two vintage kegs and another barrel-aged beer from last summer. For $5 each at the Alexandria brewery, you can get tasters of the 2013 Colossal One, a Belgian Imperial stout that won a bronze medal at the Great American Beer Festival; the 2015 Colossal Five, the English-style old ale that won a silver at the same event; and Port City’s Optimal Wit, aged in amaro barrels from D.C.’s Don Ciccio & Figli distillery and originally poured in July. Taylor Carson will perform from 7-9 p.m. and Borinquen Lunchbox food truck will be in the parking lot serving Puerto Rican food. 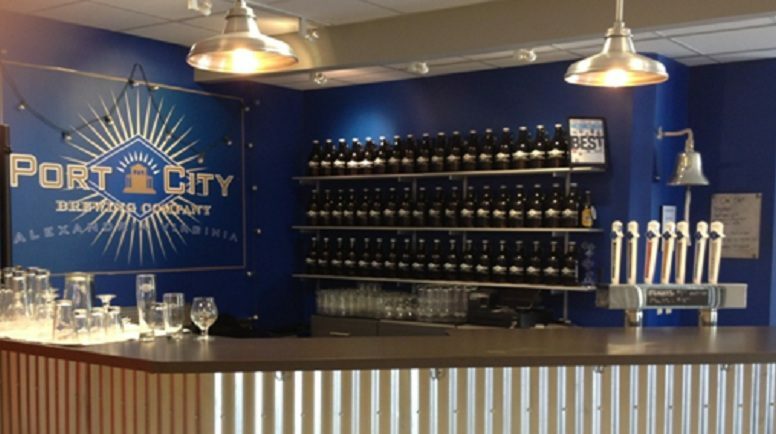 There will be a tour of the brewery at 6:30 p.m.
Jan. 6 from 3-10 p.m. at Port City Brewing, 3950 Wheeler Ave., Alexandria. Admission is FREE! 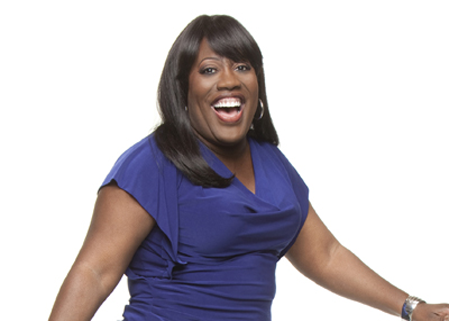 Sheryl Underwood brings her hilariously unrestrained stand-up comedy to D.C. Underwood has made a name for herself by being a versatile performer – she co-hosts The Talk on CBS, frequently appears on The Steve Harvey Morning Show and hosts her own radio show. Her set will dive deep into relationships, politics and so much more. Dec 6 and 7 at 7 p.m., 9:30 p.m. and midnight at D.C. Improv, 1140 Connecticut Ave. NW. Tickets are $30. 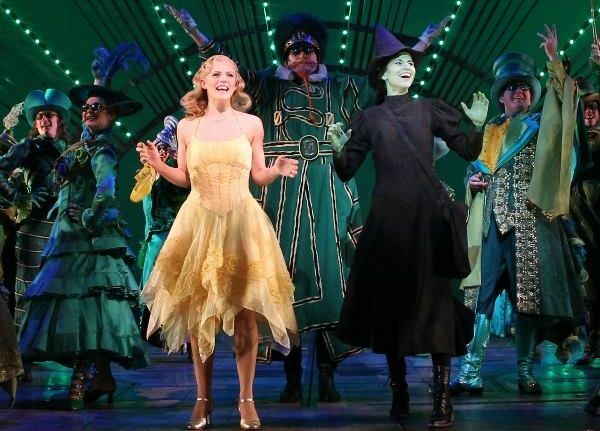 This is your last chance to see Wicked, the Broadway smash that tells the tale of the Witches of Oz. The prequel to Dorothy’s adventures in Oz follows a young woman born with emerald green skin who is smart, fiery and possesses great talents. 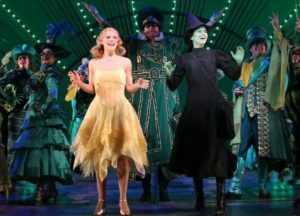 Her friendship with a bubbly blond goes well until the world decides to label one “good” and the other “wicked.” With outstanding and original music, expect to be wowed by this new classic that has captivated audiences everywhere. Dec. 6 at 7:30 p.m. and Dec. 7 and 8 at 1:30 p.m. and 7:30 p.m. at the John F. Kennedy Center for the Performing Arts, 2700 F St. NW. Tickets are $119-$359. The King is back with Elvis’ Birthday Fight Club featuring seven elaborately staged bouts. 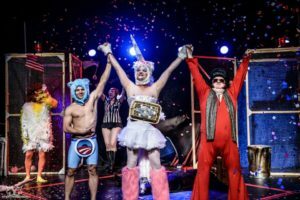 This annual tilt, which celebrates the King of Rock-and-Roll’s birthday with slapstick battle, is hosted by Elvis (Jared Davis) and Kittie Glitter (Jei Spatola). 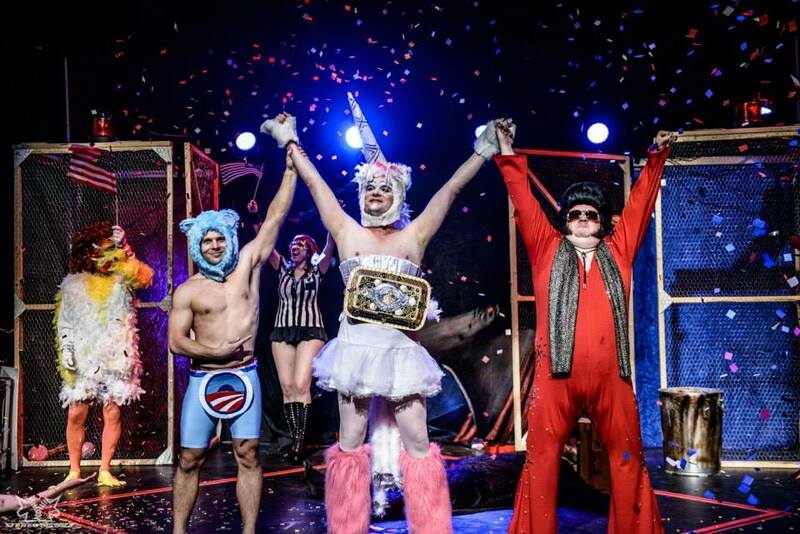 Although this year’s fight roster is a closely guarded secret, past matches have include “Freddie Mercury” vs. “The Queen of England,” Bridezilla vs. Godzilla, The Count vs. Count Chocula, Congress vs. a clown and “Putin” vs. a unicorn. Jan. 6 at 8 p.m. and Jan. 7 at 8 p.m. and 10:30 p.m. at the Gala Hispanic Theatre, 3333 14th St. NW. Tickets are $25 for general admission and $30 for front-row seats. Interested in having fun while learning how to stay fit? 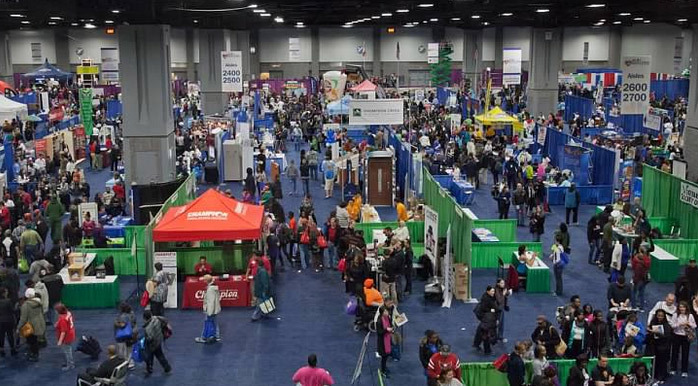 Then the NBC4 Health & Fitness Expo is a must-attend. Join some of the station’s most notable personalities, as well as leading fitness and health experts. 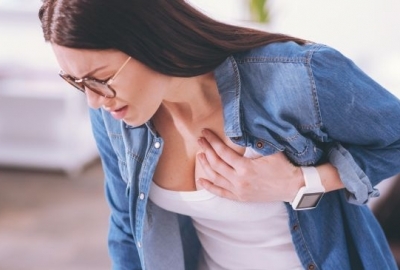 Prepare for entertaining, exercise-related fun and education, including health tests and checks, presentations, Zumba, yoga and dance classes and a healthy book festival. Visitors can talk with dentists, doctors nutritionists and pharmacists for free, get B12 shots and have free blood pressure, blood sugar, body composition, bone density, cholesterol, glaucoma, prostate, sickle cell anemia and dental screenings. 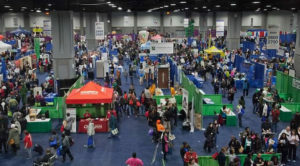 Jan. 7 from 9 a.m.-5 p.m. and Jan. 8 from 9 a.m.-4 p.m. at the Walter E. Washington Convention Center, 801 Mount Vernon Place NW. Admission is FREE! Celebrate the final days of the Hirshhorn’s Ragnar Kjartansson exhibit with a 21-and-over party at the museum. 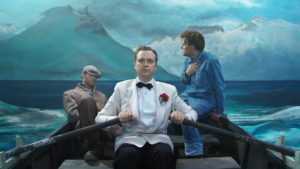 Celebrate the final days of the Hirshhorn’s Ragnar Kjartansson exhibit with Rangaröck: A Hirshhorn Late Night , a 21-and-over party at the museum. Among the features: an open bar, specialty cocktails from Maketto, Bar Deco and Republic, DJ sets, live music performances, a screening of Kjartansson’s film collaboration with The National, A Lot of Sorrow, small bites from Little Coco’s, SKWR, Ocean Prime and The Grilled Oyster Co., gallery tours, a photo booth and face painting. Not bad for a January party. Jan. 7 from 8-11:30 p.m. at the Hirshhorn Museum & Sculpture Garden, 899 Independence Ave. SW. Tickets are $55 in advance and $60 that day. No tickets will be sold at the door. A visitor cracks a walnut with Lysa III by Jennifer Rubell. Sunday is the final day for the No Man’s Land exhibit at the National Museum of Women in the Arts. The National Museum of Women in the Arts’ monthly first Sunday Community Day is your last chance to see No Man’s Land: Women Arts from the Rubell Family Collection, which closes today. The display features work by 37 artists from 15 countries. It explores the physical process of making and images of the female body. There will a free, docent lead tour of the display at 1 p.m.
Jan 8 from noon-5 p.m. at the National Museum of Women in the Arts, 250 New York Ave. NW. Admission is FREE!